Butterfly Tours & Evolution Guide School are owned and operated by Gord Pincock, he is the sole proprietor of both companies. Gord consistently manages nearly every aspect of these businesses; he creates and updates the websites, responds to inquiries, accepts reservations, compiles the pre-trip information, instructs the courses and guides each tour and expedition with his unique style of travel. Gord has explored Haida Gwaii by kayak every summer since 1981, when he was seventeen years old. He founded Butterfly Tours in 1987 and remains the most experienced sea kayak guide in Gwaii Haanas National Park. Gord's decades of guiding experience significantly enhances the quality of each guest's kayaking adventure. 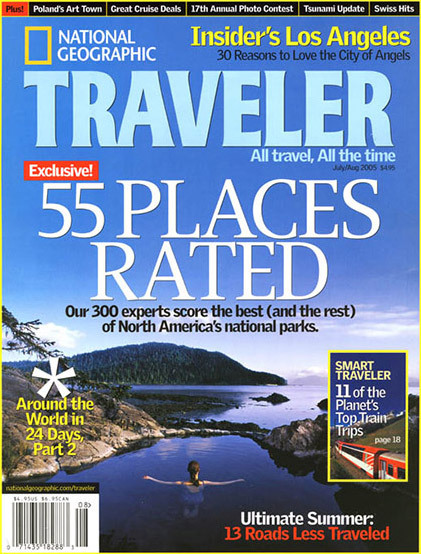 Gwaii Haanas is North America's top-rated National Park in the July/Aug 2005 issue of National Geographic Traveler magazine.